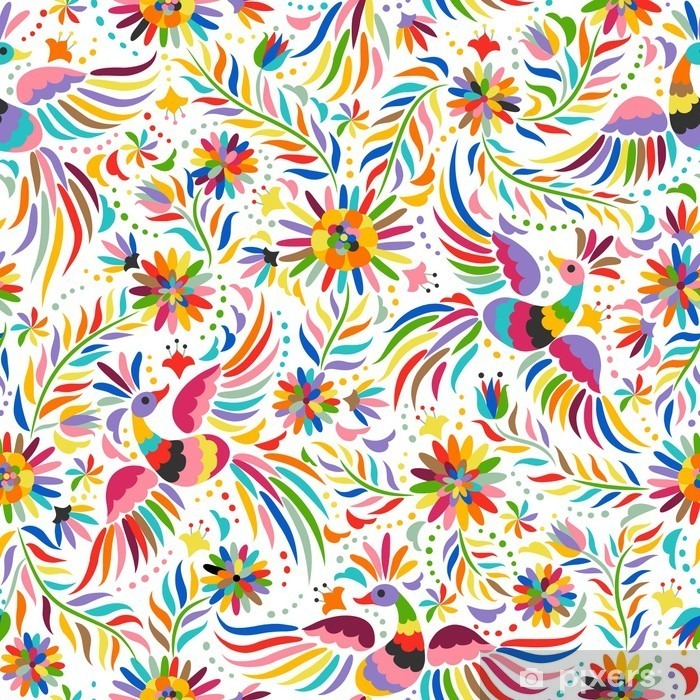 Mexican embroidery seamless pattern. Colorful and ornate ethnic pattern. Birds and flowers light background. Floral background with bright ethnic ornament.